Crazes for collecting ferns and stamps swept New Zealand in the 19th century. 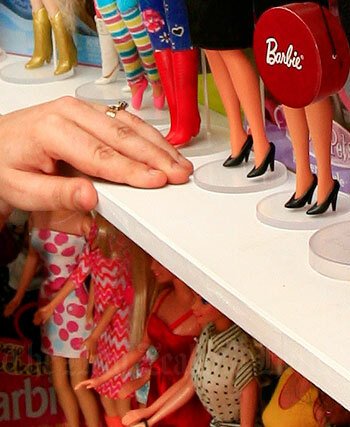 In the early 2000s collectors trawled garage sales, second-hand shops and the internet to indulge their passions for items as diverse as Barbie dolls, vintage embroidery and Crown Lynn pottery. British navigator James Cook and his men collected plant and animal specimens and Māori artefacts, many of which ended up in European museums. Early missionaries collected moa bones and sent them to England for scientists to examine. At international exhibitions collectors displayed their collections. Ferns, stamps and postcards were popular items for collecting in the later 19th and early 20th centuries. George Grey, twice governor of New Zealand, collected manuscripts, books, letters and other material. He donated 8,000 volumes to the Auckland Public Library in 1887. Dunedin doctor Thomas Morland Hocken’s collection became the basis of the Hocken Library. Alexander Turnbull of Wellington amassed New Zealand’s largest private library. His 55,000 books were donated to the nation when he died in 1918. Thomas Broun’s collection of 13,000 beetles is held by the Auckland War Memorial Museum. Ronald and Zillah Castle of Wellington collected about 500 early and unusual musical instruments. From the 1920s people collected sets of cards issued with cigarettes, breakfast cereals and jelly crystals. The cards featured subjects such as birds, rugby players and racehorses. Antique collecting became more popular from the 1960s, and included items such as model soldiers, firearms and dolls. People also collected coins and phone cards. Art collecting – by private individuals, corporate businesses or groups buying art collectively – became more popular from the 1960s. Collectors found goods in auction houses, antique and second-hand shops, and at garage sales. In the early 2000s they also bought goods online, especially on Trade Me. pleasure in the objects collected.